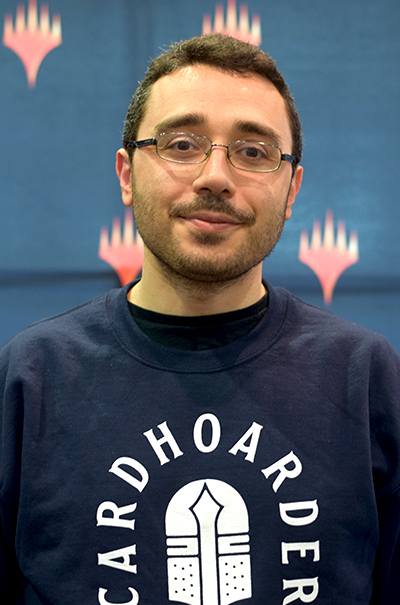 The Top 8 is more than just the decks - here are the players who advanced to the Top 8 of the nearly 2,800-player Grand Prix. 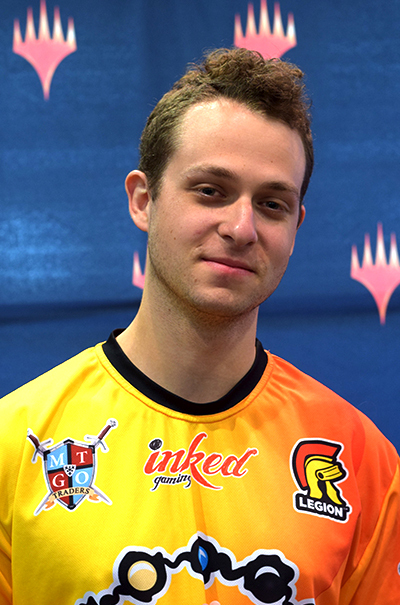 Previous Magic Accomplishments: Four Grand Prix Top 8s, Top 32 at a Pro Tour, SCG Invitational win. What deck did you play this weekend and why? Krark-Clan Ironworks Combo, the deck is unreal good. What was the best card in your main deck and why? Krark-Clan Ironworks, it does everything. Did any cards or decks surprise you? Played against two Bring to Light Scapeshift decks. What's the best part about a Magic Grand Prix weekend in Vegas? So many options and great prizes. What does this Top 8 mean to you? 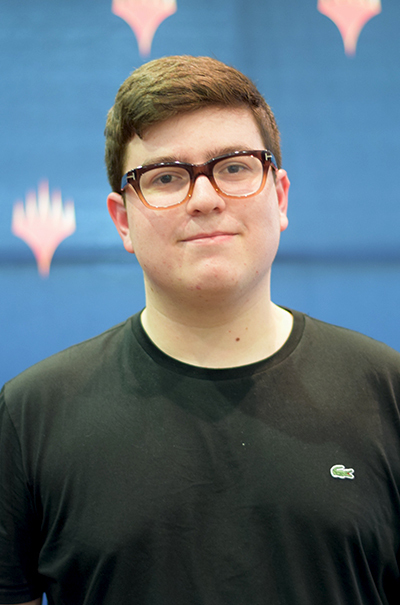 My fifth Grand Prix Top 8 feels incredibly fortunate and I'm very happy to play amongst the best of the best. Jeskai. I wanted to play something wacky, but I have great friends and they made play the deck I have the most experience with. Mana Leak. Many opponents cast their best spell into two open mana because Logic Knot wouldn't counter it but Leak did. Teferi, Hero of Dominaria was a lot better than I expected it to be. Getting to cube with all my Magic friends who live all over the country. This Top 8 gets me invites to the next three Pro Tours, none of which I was qualified for, so it means the world to me. Krark-Clan Ironworks, it's the best deck. Vegas is a cool city and it has more of a convention feel than other GPs. One step closer to Worlds and Platinum. Previous Magic Accomplishments: Hall of Fame class of 2017. 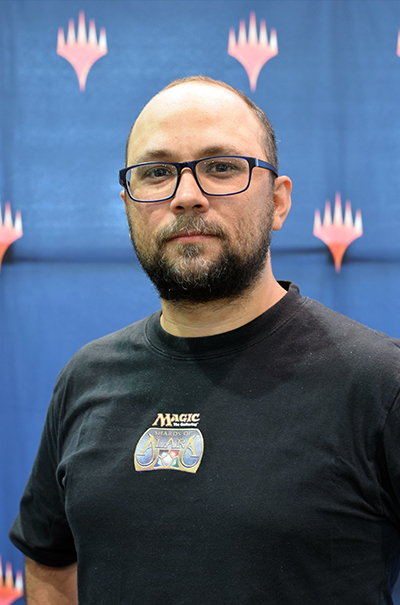 Three Pro Tour Top 8s, 30th GP Top 8. Humans. I mostly just wanted to play the Limited GP so I just figured I'd take it easy and play a good aggressive deck with no preparation. It worked out pretty well. Mantis Rider. It usually came from the top when I needed it. I get to draft with Limited Edition Beta packs on Sunday. 30 is a nice number. Hometown: Brisbane, Australia (but I live in Sydney). Previous Magic Accomplishments: Top 8 of the Super Sunday Series. Mono-Green Tron. It is my favorite deck, and one I stick with most of the time. Ugin, the Spirit Dragon. 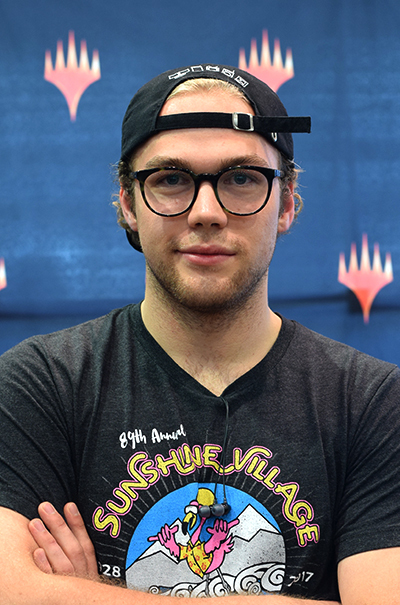 With a lot of Humans and Mardu Pyromancer in the field, Ugin has performed very well. Not really - the decks are pretty well-known. Making Top 8 for the first time! 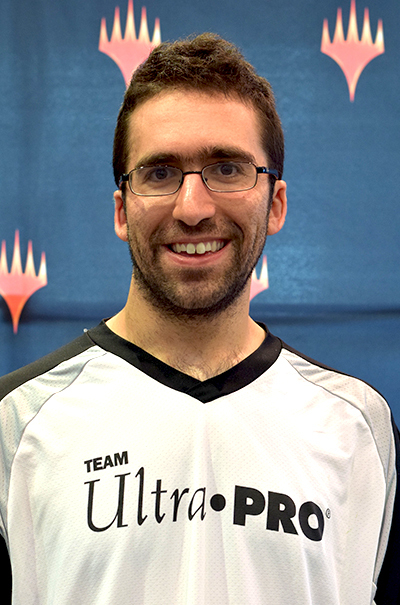 It's also my first Grand Prix outside of Australia, and everyone was very friendly and great to play. A lot. I've been playing on and off for 22 years. I've never been super competitive, but it means a lot after traveling a long way. Tron, because I had finals and playing decks other than Tron is hard without testing. The all-powerful Karn father, glory be upon thee. 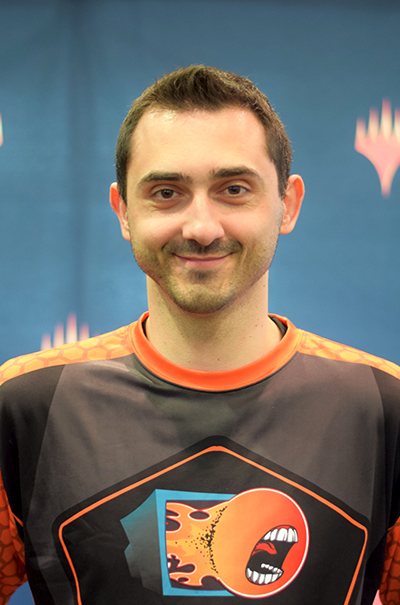 Money, Pro Tour, being able to play Battlebond tomorrow instead of doing the PTQ. 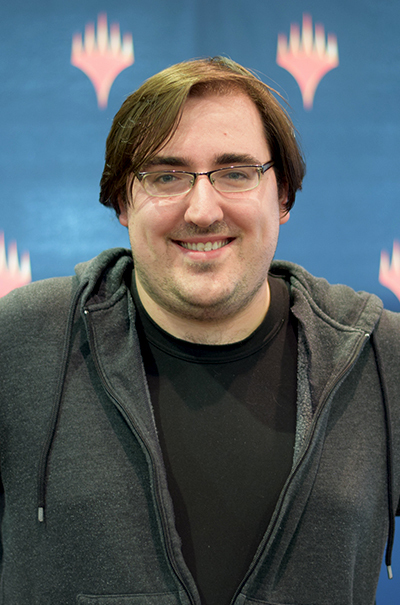 Previous Magic Accomplishments: Four Grand Prix Top 8s, consistently mediocre on the Pro Tour. Chief contributor to BarnyardMTG.net! Grixis Shadow. Everyone, including my editor at StarCityGames.com, told me it was unplayable. It has no good matchups but it somehow wins. Mishra's Bauble. Paying mana for things is more outdated than KONY 2012. My good friend and neighbor Rob Pisano played against a deck with the following cards: Grave Titan. Esper Charm. Disallow. Reflecting Pool. What a throwback! I am hosting no fewer than 12 dirty boys at my mansion this weekend. Shoutout to Wallace the GOATs. I will conduct myself with dignity and maturity at the house party being thrown at my palace this evening. Previous Magic Accomplishments: Lost a bunch of win-and-ins. Devoted Company. It's my pet deck and I like making huge numbers to cast Walking Ballista. It's also good in this meta minus a couple dodgy matchups. Selfless Spirit. I went from one to three in the 75 - the deck is a combo deck, and protecting the combo is better than having a mediocre backup plan. I win, we go out and have a good time, I lose and we go out and have a good time. It still hasn't hit me yet - it's literally what I dream of.